Lori Lightfoot and her/his husband/wife? 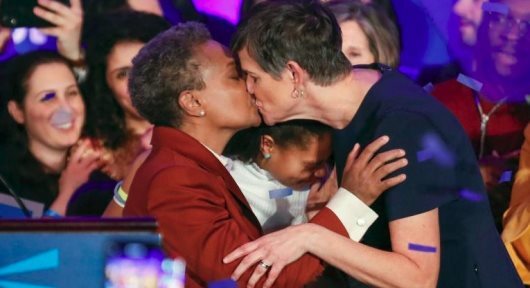 AFRICANGLOBE – Lori Lightfoot has become the first Black, openly gay mayor of Chicago, following a historic campaign that saw two Black women lead in the city’s mayoral election. Lightfoot — a former federal prosecutor who has worked in police oversight — defeated Cook County Board president and county Democratic Party leader Toni Preckwinkle. According to the Chicago Board of Election Commissioners, Lightfoot won 74 percent of the vote.